Born in Jamaica, and raised in Mount Vernon, New York. 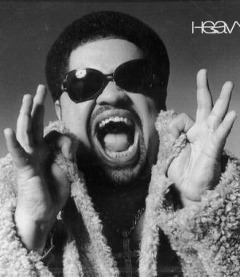 Founder of the 1990s hip hop band Heavy D & the Boyz. He performed the theme songs for In Living Color and MADtv, and achieved a solo hit in 1991 with a cover of the The O'Jays Now That We Found Love. He also made an appearance in the film Tower Heist, released several days before he died. Cedars-Sinai Medical Center, Los Angeles, CA. Pulmonary embolism caused by deep vein thrombosis.